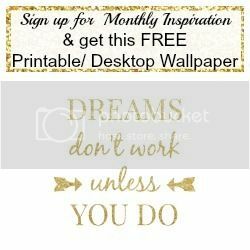 Its obvious I have a thing for subscription boxes, I mean I have my own craft subscription box Home Made Luxe. I’ve wanted to try clothes subscriptions, but the ones I have seen just haven’t been my style and I don’t want to have to worry about mailing back unwanted items. But then I came across The Skirty Box! 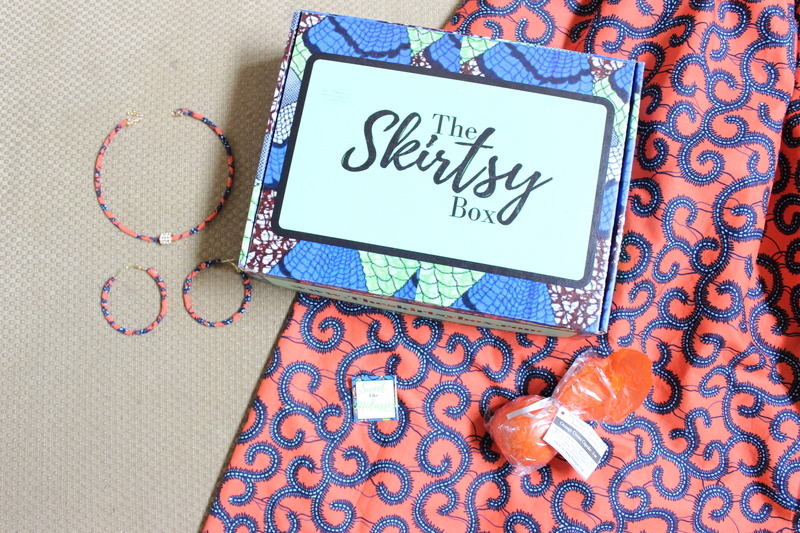 The Skirtsy Box is a monthly lifestyle subscription box for women who love Ankara fashion – particularly skirts. 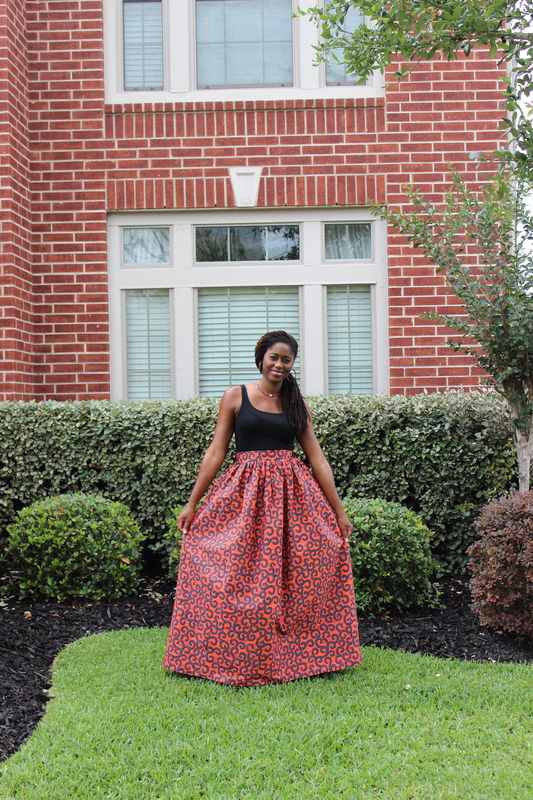 That’s right monthly African print skirts along with other lifestyle items! This box is amazeballs. 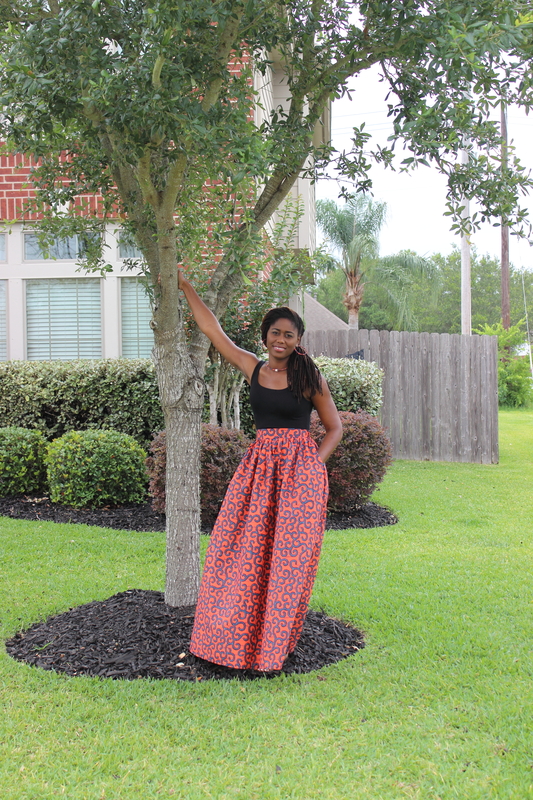 I am in love with this skirt. The print is gorgeous! As a 6 foot tall girl, finding long skirts that don’t stop at my calves is a struggle. What I love most about this box, is that the skirts are all custom made for you. I couldn’t believe how long and gorgeous they are. 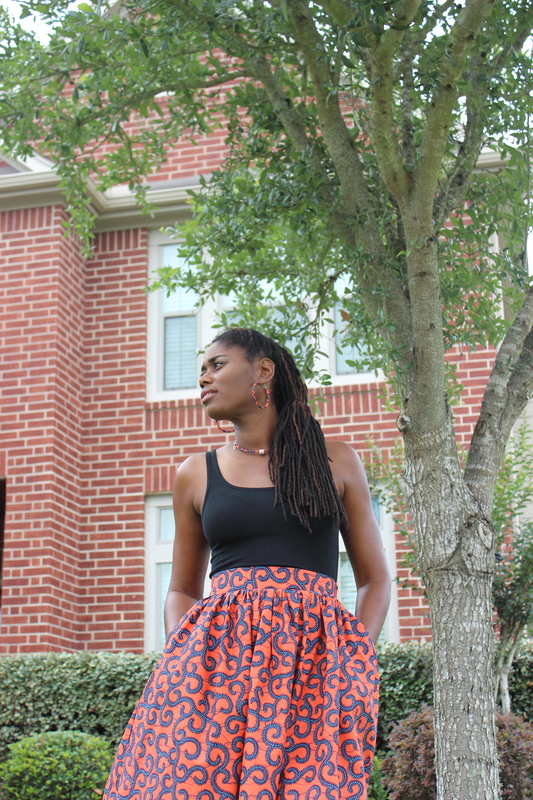 I put on my skirt as soon as I took it out the box! It was just too gorgeous to wait to wear it. 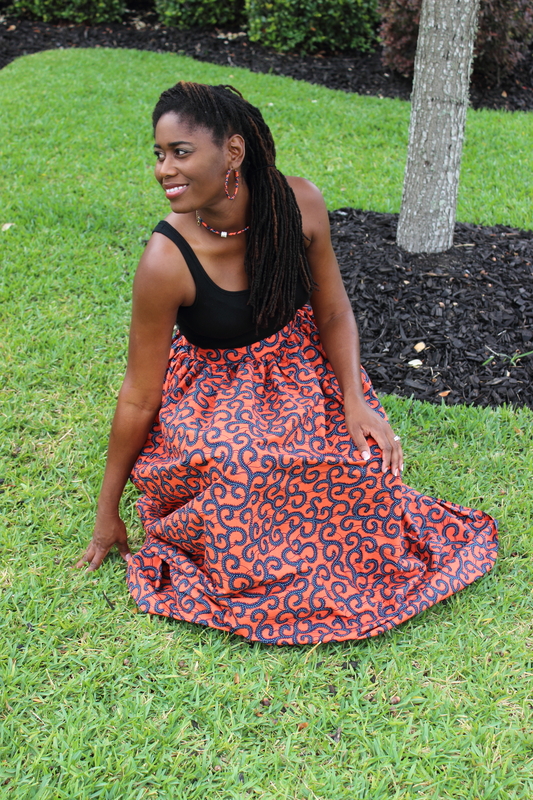 I wore it to church and it wasn’t until I was there that I realized the skirt had pockets too! It is so comfy, I got a ton of compliments. I also love how the box came with matching jewelry, hoop earrings and a necklace. It was all included. Not only did the box come with my gorgeous skirt and matching jewelry, it even had a ‘Sweet Like Molasses’ pin and a Orange Dreamsicle Bath Bomb. 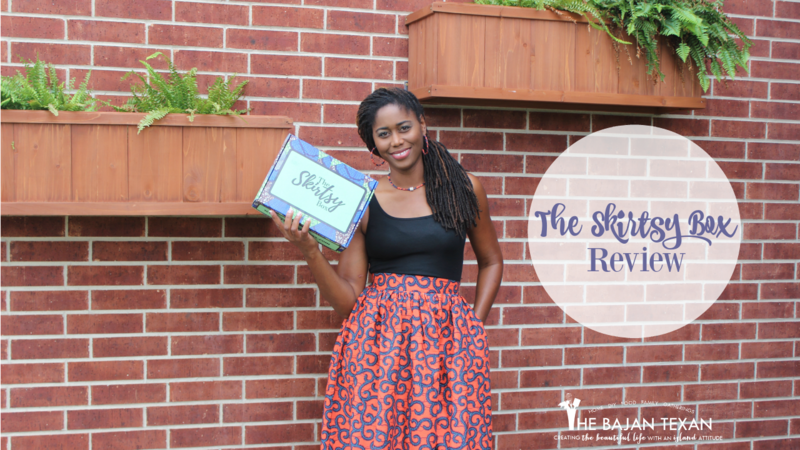 I can’t say enough good things about The Skirtsy box click here to get your box now!